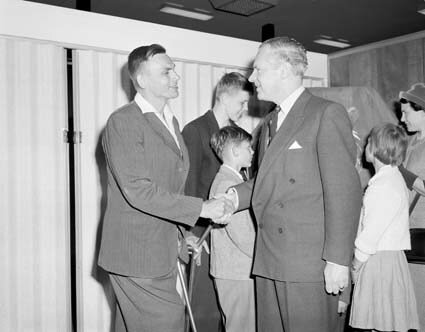 Otto Kampe, the 250,000th refugee to arrive in Australia post-World War II, landed with his wife and 5 children in Melbourne on 22 June 1960. 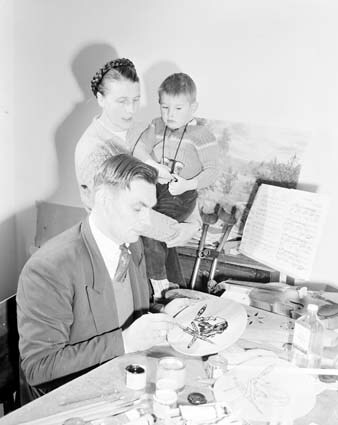 Having trained in design and illustration at Riga Art Academy, he worked as an artist and clerk in refugee camps after the war and supplemented his incoming by making kokles, a Latvian stringed instrument. Mr Kampe had applied to migrate to Australia several times previously, but was rejected for health reasons – he was, according to a Canberra Times article, “crippled in both legs by a hip disease”. 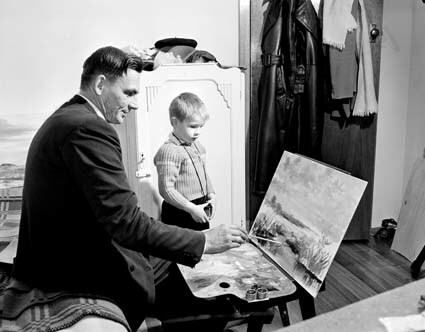 The Kampes were admitted in 1960 under a World Refugee Year scheme through which the Australian Government accepted one hundred refugee families with a physically handicapped member. 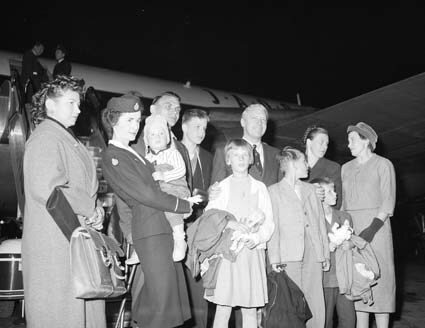 The UN’s World Refugee Year (June 1959 – June 1960) aimed to raise awareness of the plight of and encourage practical assistance for refugees. It particularly focussed on dispersing the stigma of “unemigrable” refugees – those considered to be a heavy burden on an assisting country. Physically disabled refugees were seen to be in this category. World Refugee Year recognised that handicapped refugees contributed skills and cultural diversity to their new home countries. It was also acknowledged that exclusion of a disabled refugee impacted not only that individual, but their families, who were also rejected from migration programs. Other countries with similar schemes to Australia’s included Canada and New Zealand.